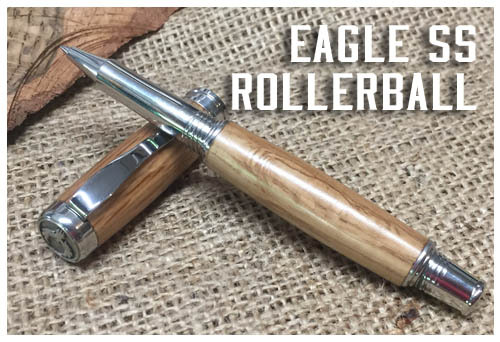 This style pen is called the "Eagle SS" style. 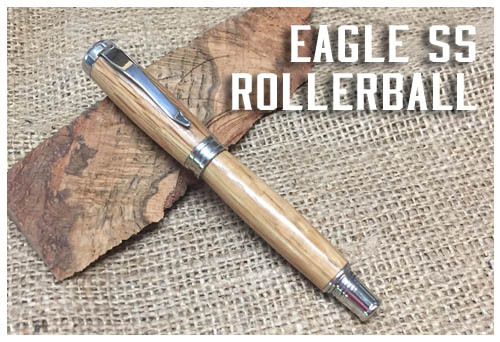 It is a rollerball pen, and has USA-made Stainless Steel hardware. This pen should last for ages to come. It is a "postable" pen, which means the cap can screw onto the back of the pen body (the post) while writing for storage and balance. Please note, the center band may vary slightly from the photo, depending on what the machinist sends me to work with. Available in your choice of wood "flavor." 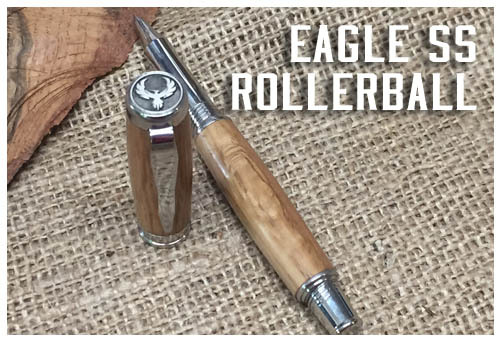 Eagle SS takes a rollerball style refill. Refills are available below and at most office supply stores.